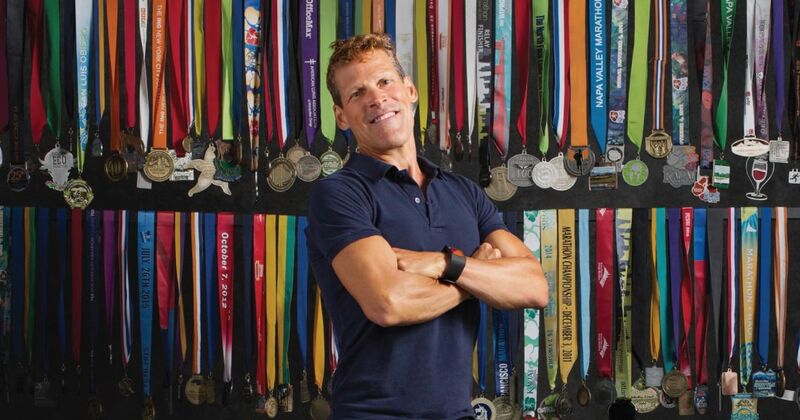 Renowned ultramarathoner and bestselling author, Dean Karnazes, is set to run the inaugural MCM50K on Oct. 27 in Arlington, VA. Karnazes, named by TIME magazine as one of the “100 Most Influential People in the World,” will also be the featured speaker at the MCM Carbo Dining In on Oct. 26, as part of MCM Weekend. Karnazes will add running with the Marines to his impressive resume that includes running 50 marathons in all 50 states in 50 consecutive days; competing on all seven continents; winning the ESPN ESPY Award for Best Outdoor Athlete; and being a three-time winner of Competitor magazine’s Endurance Athlete of the Year. The NY Times bestselling author has pushed his body and mind to inconceivable limits, such as running across the Sahara Desert and the South Pole; 350 continuous miles without sleep for three nights; and as a solo participant in ten different 200-mile relay races. Runners have the opportunity to purchase tickets to the Carbo Dining In featuring the Ultramarathon Man. Karnazes is slated to speak about his stories of persistence, perseverance and unlocking inner strength during the MCM’s pasta dinner on Saturday, October 26 from 6:00 to 7:30 p.m. at the Gaylord National Resort and Convention Center. Tickets are $65 and include the entertainment, a delicious pasta buffet, salads, desserts and more. Gluten free options are available. March 19 – MCM Rush Registration. Begins at noon on March 19 and will close at 12:20 p.m. OR as soon as 7,000 runners have registered. Achieving this registration plateau would prompt Rush Registration to close prior to the planned 20-minute duration. March 20-26 – MCM Lottery. Runners may declare their intent to run the MCM by signing up for the Lottery from noon on March 20 to noon on March 26. All registered runners will be notified of their status through email on March 27.